After the tragic sinking of the original Pride of Baltimore, the board of directors of the nonprofit that operated Pride for the City of Baltimore had no heart or stamina for building a replacement ship. But then the money started rolling in — in jars of pennies, in cans of dimes, in envelopes with $3.49 inside, in checks for $10,000. This outpouring of unsolicited public support all but forced the board into going forward with a new ship. By late summer of 1986, plans for a replacement were under way. The ship was to be named Pride of Baltimore II and serve as a sailing memorial to the original Pride. 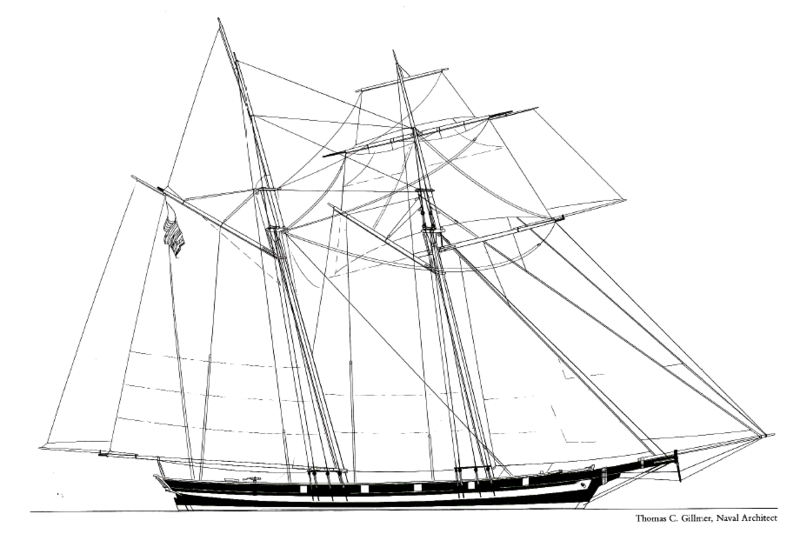 She was to be another Baltimore Clipper topsail schooner that would continue the mission of the first ship. With an insurance payment of just under $500,000; a state grant of $1 million; and contributions from private citizens, students, corporations, and foundations totaling more than $2.5 million, sufficient funds were available to build a new ship and endow an operating fund. Thomas Gillmer was once again commissioned as designer and supervising architect. Peter Boudreau, one of the builders and captains of the original vessel, was named as master shipwright and builder. Guided by the experience of the original Pride, the board determined that this vessel could better fulfill the mission of a globe-trotting ambassador that had evolved over the years if she was larger and had more cruising range both under sail and under power. It was also determined that Pride II would be licensed by the U.S. Coast Guard as a subchapter "T" vessel approved for carrying passengers. With these guidelines in hand, Gillmer set out to create a new Pride that would look much like the original on the outside but have more contemporary amenities and safety features below deck. 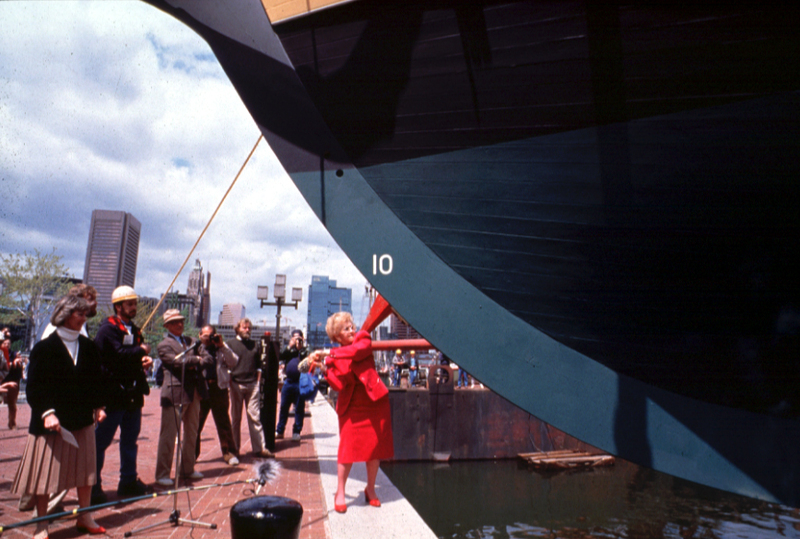 In the spring of 1987, a boatyard was again opened on the west shore of the Inner Harbor and the public was invited to watch the ship emerge from the ground up. 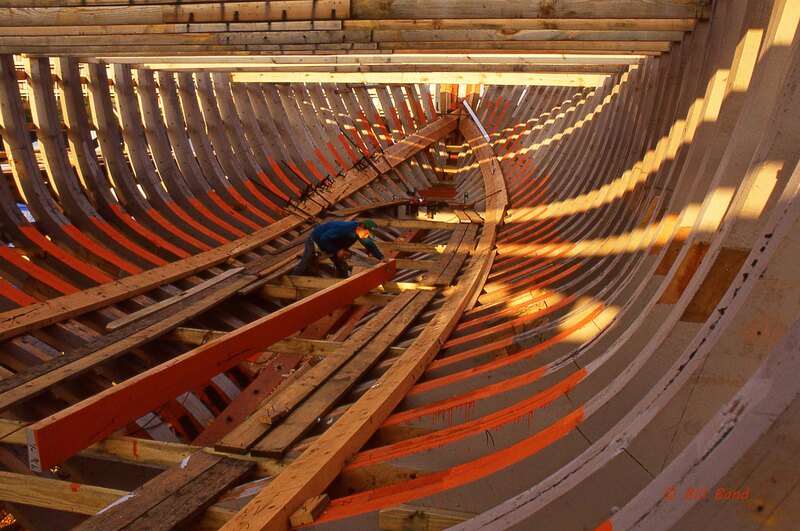 On May 3, 1987, the keel was laid and Pride of Baltimore II soon began to take shape. 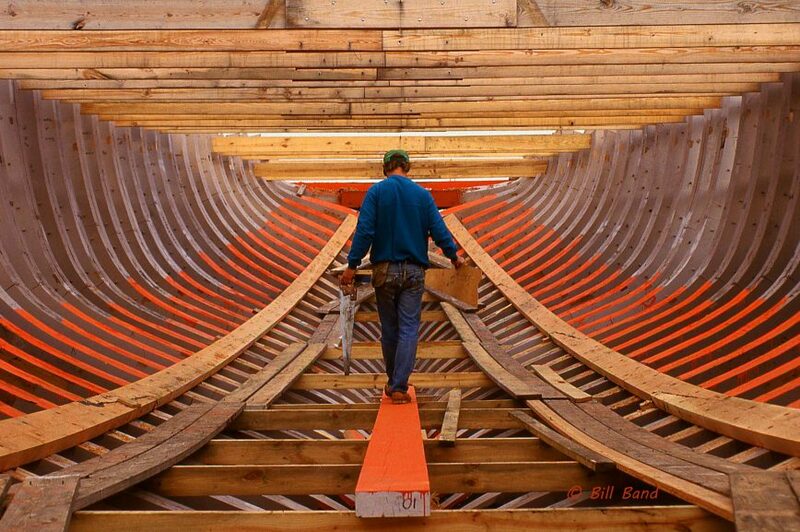 The keel and all the other framing and planking materials were shaped out of Central American hardwoods from Belize. On this ship, modern power tools and techniques were used to speed construction. When quarterdeck onlookers periodically opined that, "Them 19th-century shipbuilders sure didn't use no kinda power tools," shipwright Leroy Suroski correctly pointed out, "They woulda if they woulda had 'em." Construction, 1987, courtesy of Bill Band. 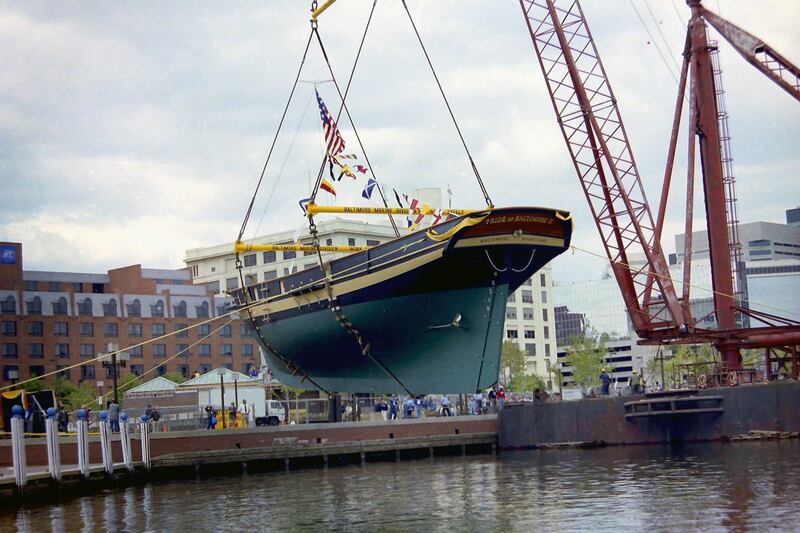 Pride of Baltimore II was hoisted aloft and launched from her Inner Harbor birthplace on April 30, 1988. After being fitted out and rigged, she was commissioned on October 23, 1988, at Brown's Wharf in Fells Point, just blocks from the shipyard where Chasseur, the original "Pride of Baltimore," had been built in 1812. She left immediately for Bermuda on the shake-down leg of her maiden voyage. On this leg, she was captained by her shipwright, Peter Boudreau, and crewed primarily by her builders. In Bermuda, Pride, Inc.’s first full-time captain, Jan Miles, who was a veteran of the original Pride, took command with a permanent crew. During the winter of 1988-89, Captain Miles joyfully showed off the new Pride to friends in the Gulf of Mexico, the Caribbean Sea, and the East Coast of the United States. With that successful maiden voyage under her keel, Pride of Baltimore II returned home ready to embark on her mission as goodwill ambassador to the world from the Port of Baltimore and the State of Maryland. Pride II is lowered into the Inner Harbor. Courtesy of Charles Bregger. Helen Delich Bentley christens Pride II.